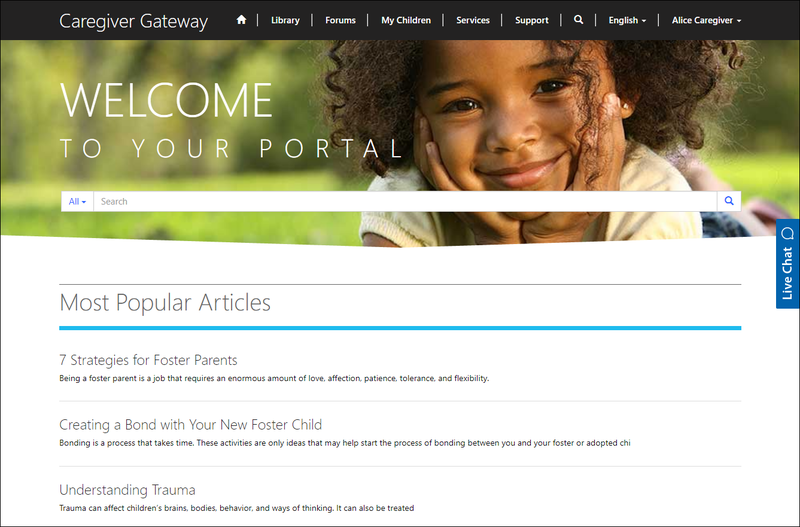 Stabilify empowers foster parents with new, innovative tools. Give caregivers an active, real time voice for the children in their care. Expand caregiver engagement, provide compelling, real time information and increase the quality of caregiver interaction with the Caregiver Gateway™. 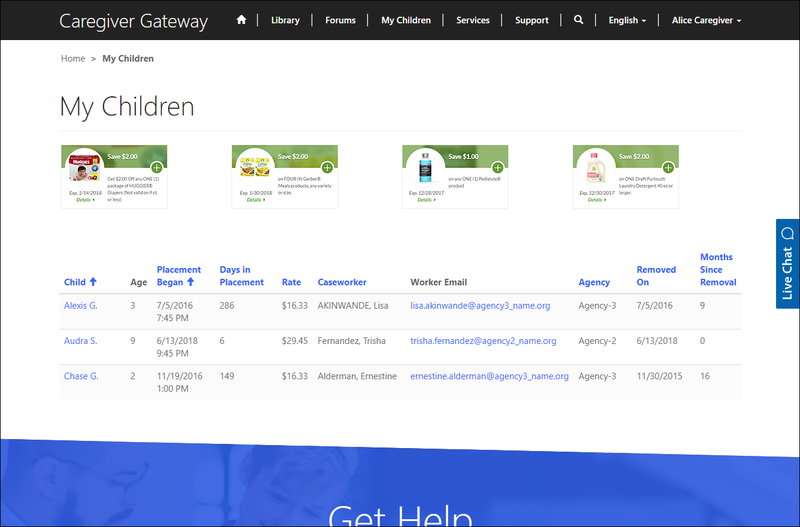 With the Caregiver Gateway™, every caregiver has secure access to an abundance of valuable information – from specifics about the children currently in their care, to the latest best practices in child welfare. 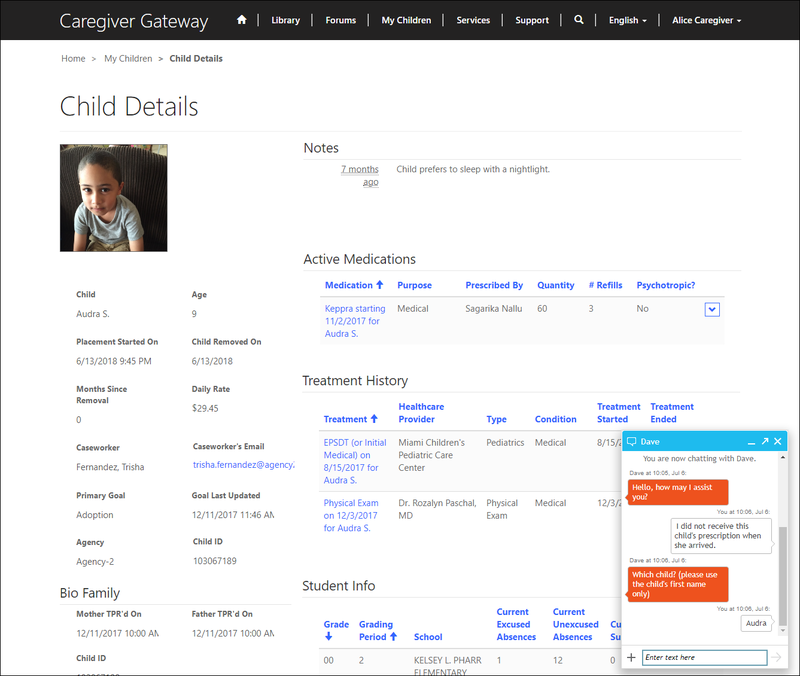 Real time child informationFree up front line staff by dynamically providing critical information directly to caregivers in real time. 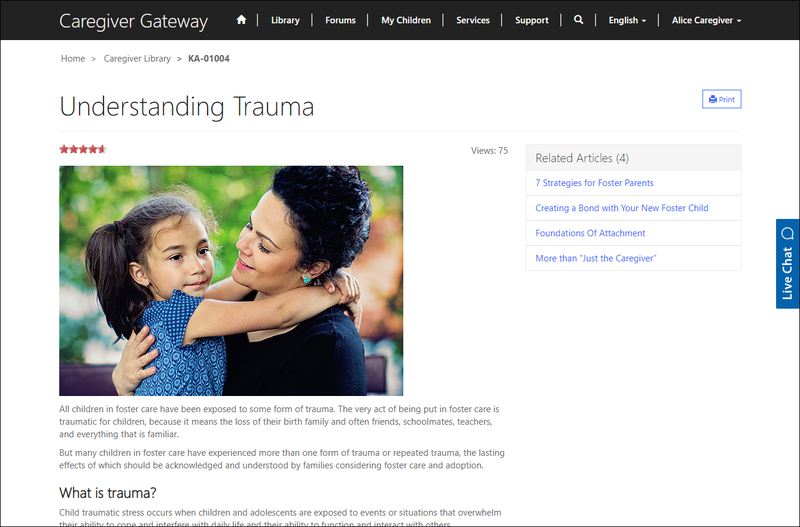 Rich knowledge base and FAQEmpower caregivers to keep themselves abreast of the latest best practices in child welfare, along with answers to typical day-to-day questions. "Always On" accessProvide “always on” access by offering caregivers the ability to get the information and wraparound service options they need with self-service access. Comprehensive set of communication channelsGive your caregivers the option to communicate with staff using their preferred channel (e.g. online contact form, email, chat, video chat, issue resolution module). Caregiver historyEnable each caregiver to view details of past placements in their home. Enterprise-ready messaging and meetings Reach more caregivers than ever by using online meetings for 1:1 conferences between staff and caregivers or for virtual town halls with all of your caregivers. Issue resolution moduleTrack, route, respond to, and resolve issues submitted by caregivers through the gateway.